The Yield Finance Group (formerly known as SmithLovett & Associated Brokers) has more than 70 years of combined experience working with commercial and rural industries throughout regional Australia. Managing Director Mark Smith along with Directors, Bill Curry, Robert Botter and Brendan Gibbons together with Commercial Finance Brokers Cameron Jones and Kristian Bonetti are all experienced finance brokers with a wealth of banking and industry knowledge. 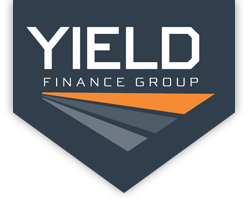 Yield Finance Group have two fully resourced offices in Albury and Wagga Wagga with experienced and competent staff. We have a dedicated Credit Department ensuring our clients’ have all their finance needs dealt with in a prompt and efficient manner. The structure of the business comprises two specialist sections. The business has six experienced brokers on the road travelling throughout regional Victoria, NSW and ACT visiting clients at their place of operation to fully understand and satisfy all their finance requirements. A solid reputation developed over a long period of time within the industry guarantees your needs as a client are always professionally met and satisfied in a timely manner. Our client base is spread over a wide cross section of industries predominately in the Transport, Earthmoving and Agricultural Sectors. We have expanded our product line and introduced a dedicated rural and commercial property section covering everything from working capital, property acquisitions and restructures through to inventory finance. The advantage the property section brings to the market is that we act as an independent voice for our clients. This combined with our skills and experience and access to every financier in the broker market ensures that the best possible option with pricing and structure is negotiated. We offer guidance, information and options that are current and relative in today’s business. All our brokers hold valuable accreditations with every financier active in the broker industry. 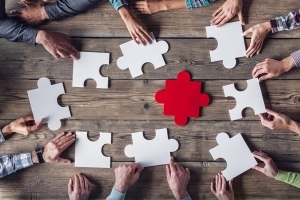 Our combined experience in the finance industry plus trusted relationships with all the major Banks guarantees a wealth of knowledge at your disposal and access to products and competitive pricing which is vital to the ongoing success and viability of your business. We want to come to you! From our experience, it’s imperative that we get to see you in your business environment! Yield Finance Group hold valuable accreditations with every major trading bank and finance lender active in our industry. Our experience in the finance industry means we have a thorough knowledge of the available finance facilities and information vital to your business. The result’s in our clients being able to access effective finance solutions that are relevant and that will work profitably for your business.